Not having a warning system on every weblog I keep, I only noticed this week that the question was asked whether there is any literature of Felix Ortt, main Dutch Christian anarchist, in English. in the domed reading room of the British Museum (I might as well have written doomed, because it was closed to the reading public soon afterward). A magnificent thunderstorm ended my session, which gave symbolic weight to the experience. It is one of the many edifying stories he has written and I am at a loss why the title was changed - because Godilieve would be easier for Anglophones? It makes no sense. Godelieve is a mainly Southern (Flemish) girls' name, meaning Dear to God. It should be pronounced as [Chohdeleeveh], the Ch as in Scots loch but softer. Mysticism is generally associated with resignation, with calm observance "of that which is God's", not with action or with resistance. This is a mistaken or incomplete view. Actually, only two years ago - it is documented, because it was what I reported at a Conference in Haifa - I thought there was a contradiction between action and mysticism. I inferred this from the history of Dutch Christian anarchism around 1900: after "having seen the light" it organized as a movement, people involved thought they could make see by giving the right example that the woes of the world could be solved. It ended in tears and regret, and a turning towards the mystical roots, especially toward protestant mysticism. Action, or resistance, seemed to precede mysticism. Of course, this was a simplification, because Ds. 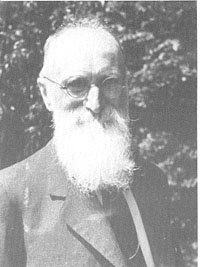 Louis Bähler, one of the main figures in Dutch Christian anarchism, stated that this "turning" towards mysticism meant recognizing "the mystic vein that ran through our movement all along". My idea of only two years ago was that "action" can only imply "doing things actively", which of course is etymologically a proper idea. Still, seeing it that way, one gets barred from the idea that mysticism is a call for action, for radical action even, but for action different from that of the Dutch Christian anarchists before they went to their "mystical roots". I had been studying the lives of those who played a key role in the American Catholic Worker Movement and was already approaching my new way of looking at the relation between mysticism and action, when someone mentioned Dorothee Sölle's Mystik und Widerstand: Du stilles Geschrei to me. I am glad I was made attentive to this book, because I really would not have thought about ever taking note of Sölle's writings anyway - call it prejudice, or call it judgement based on criticism by writers I value. I must say I still think it is an irritating book by an irritating writer - but I must admit it is also a treasure of ideas of all kinds of thinkers whom I would have thought of even less than of ms. Sölle. And her idea of democratizing mysticism without trivializing it, and against the general trivialization of the world of "Western" consumer capitalism, appeals to me and seems completely compatible with the strivings of Peter Maurin, to whom I shall turn now. Peter Maurin was born in 1877 as a peasants' son in Occitania. In his younger years he was a member of the Young Catholic Action group Le sillon, which advocated a stressing of good peasant ways of living and a turning away from industrialism. [Generally, such movements are being called "reactionary", which seems to suggest that there is a linear logic which dictates the direction human society is moving towards. Of course, there is not.] Whilst being a member of this catholic society Maurin read socialist and especially anarchist writers, Pierre-Joseph Proudhon and Peter Kropotkin being the most impressive to him. He leaves Le sillon and emigrates to Canada (1909), trying to work as a farmer, which does not succeed, he moves to the United States in 1911 and becomes an itinerant worker. For about twenty years he lives on the road for most of the time, talking to or arguing with anyone who wanted to listen or even did not want to listen and spreading his message of catholicism and anarchism, mixed with English guild socialism or Distributism and increasingly with French personalism. It all adds up to a special message of elementary christian anarchism. It has been laid down in books mainly called Easy essays, or sometimes Green revolution. Although his ideas fit in completely with non-political "green" strivings, his "green" refers to the Emerald Isle: he calls for a return to the practice of Irish monks who in his view brought civilization to Europe. It means building hospices, places where the poor and the sick can stay, where round table discussions are being organized "for clarification of thought" and where people can learn a trade, be it agricultural or other. Cult, culture and cultivation, that is what these houses should be about. It is being realized, though not according to his ideas, in the Catholic Worker Movement, a pioneering lay movement on the edge of the Roman Catholic Church, and as far as I know the only movement which specifically combines catholicism and anarchism. One of Maurin's Easy essays says that for ordinary people "politics is just politics, and mysticism is the right spirit". His life after the start of the Catholilc Worker is very well documented, before that time it is not - and he seems not to have been willing to tell about it. Which makes it difficult to see if there was a particular moment of his meeting God, which we tend to associate mysticism with generally. His mysticism can be seen as living the life of whom he called "the Ambassadors of Christ", the poor. One of his maxims: if everybody wants to be the richest, everybody will be poor; if everyone tries to be the poorest, nobody will be poor". One of the others: "we must work for a society which makes it easier for people to be good". It is tempting to quote from his Easy essays, which leave so much to think about they really cannot be called that easy. Summing up: Maurin's mysticism is that of the identification with Christ in the poor. The other founder member of the Catholic Worker Movement is Dorothy Day, a journalist of episcopalian descent, born in the US in 1897. In her late teens and twenties she belongs to the radical circles of New York and Chicago, apparently she was a member of the communist party for some time, later she was in touch with the anarchist minded Industrial Workers of the World (she does not mention having had her "Kronstadt", the affair with bolshevism seems to have been superficial). She is married to an anarchist artist and expecting a child when she gets the urge of becoming a Catholic. At least, she wants her child to be catholic, and she is told she has to convert herself too. This she does, and paradoxically it leads to her divorce, in 1927. The mystical striving for unity with God seems to be this urge to become part of the Corpus mysticum of the Catholic Church. Why this, and not go back to the own tradition? I think it is not being explained satisfactorily, at least as far as the non-catholic onlooker can see - and that is why I choose this feverish urge to be part of Christ's mystical body to be the defining mystical moment in Dorothy Day's life. After she joined the Catholic church she still identifies with the radical worker movement, and regrets that the Church does not show any solidarity towards these movements - mysteriously she ignores the record of the Church's recent history e.g. in Spain. After she has joined the Catholic Church some quiet sets in, but not for long: the discontentment about the lack of a radical Catholic worker movement grows, which can only be strengthened by the Depression. And then she meets Peter Maurin, in 1932, who seems to share her idea about this catholic movement. They start a paper, the Catholic Worker, which is launched on May Day 1933. Peter Maurin wanted it to be called "Catholic Radical", but "Man proposes, woman disposes" as he sadly remarks. Along with the paper a House of Hospitality is started, according to the idea of the Green Revolution. The Houses somehow do not work in the way Peter Maurin had proposed. The care for the poor, the function of soup kitchen and sleeping place for the Ambassadors of God turn out to be the main function of the houses. This, in combination with the own liturgy of the houses, is the Cult side of Maurin's idea. The Culture side has been developed gradually in later years: it seems to be the action against the preparing for war which goes alongside with welfare consumer capitalism. The Cultivation still has to make itself known. Reading Dorothy Day is entering a different world: she writes about things which might be called trivial, but she never is trivial - and she blesses ordinary things and creatures with a spirit, given form by the (deuterocanonical) Canticle of the Three Young Men. This is her everyday mysticism: there are no ordinary things or creatures, there is no ordinary time, there is no ordinary work. Living the life of the poor, working for the poor, actively resisting preparations for war until the end of her days - in the protestant sense she certainly lives a sanctified life. Even during her life it was said that she ought to be declared a saint, to which she replied: "I do not want to be dismissed that easily." Let there be hope for the Catholic Church it does not need a special anarchist saint. Thomas Merton may be called a Christian anarchist, but he did not have the time to consider if that would have been a branding that suited him. He would not have wanted "to be dismissed that easily", I suspect - even more than the Dutch christian anarchists or Dorothy Day he stresses that leading a saintly life and striving for peace is a general Christian idea. Christian, to him means Roman Catholic. The story of his conversion is less acceptable still to a non-Catholic - to me at least - than Dorothy Day's story. Merton's background is anglican, while a student he is convinced that he is a non-believer, he joins the communist party (he does not mention anything about his membership except his party name), but gradually dissatisfaction and the realization of spiritual emptiness take control of him. Reading English literature he gets gripped by Love by George Herbert, he is inspired by William Blake on whom he writes a thesis, but what touches him most is Etienne Gilson's Gifford Lecture The spirit of mediaeval philosophy. I hope I see right when I conclude that reading this book does prepare him for the Catholic Church as against turning back to the church of his baptism. From his autobiographical Seven storey mountain which I take as the prime source for his conversion one can hardly conclude that he leads even according to today's standards an immoral life. He does not mention it, one has to read it in a biography written by someone else. This omission indeed makes the "inner voice" which calls him to convert to catholicism and nothing else, and to become a monk, hardly bearable. We do not get to hear "the other voices". There had to be a "Nihil obstat. Imprimatur" in the book. It adds to the feverishness of his will to become a Catholic - again, to join the corpus mysticum. The pressing inner voice is what I would call his introduction to mysticism, if not his mysticism proper. After his conversion quiet resignation takes the place of all the unrest - perhaps the most feverish about Merton after he joins the Trappist monastery of Gethsemani in 1941, is his wish to become a recluse. This wish is only granted in 1960, at a time when he has made the acquaintance of the Catholic Worker Movement, without which - as he stated later - he never would have been a real catholic. His hermits' days are also the hottest in the Cold War. Merton starts to speak out for catholic action against war, for non-violent opposition to the permanent preparing for mass murder - inspired by the Sermon of the Mount, of course, and by Thoreau and Gandhi. His writings in the Catholic Worker were a call to action for a whole new generation of catholics, the most well-known of whom are the Berrigan brothers, the faces of radical action against the war machinery at this moment. So having got his impulse to radical commitment to the peace movement from the Catholic Worker, he acts as an impulse too. Merton's radical action against war is prayer - he fully believes it makes a difference. Allie Neill writes that he never met a man of 53 who did not know what he wanted to become. 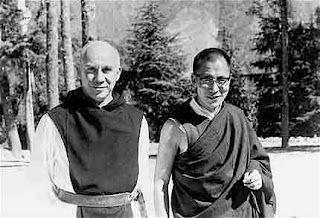 Thomas Merton died of an accident at this age, while on pilgrimage in Asia - and actually I wonder what might have become of this man had he had time and chance to get deeper into East and South Asian religion and perhaps into anarchism. We must conclude God did not want Merton to be a denial of what Neill said. He was born in 1915, so we still can see that he is being missed at this very day: for his role in the Church, for his passion for peace. From the story of these people around the Catholic Worker Movement might be distilled a model - I know, it is difficult, maybe even unbearable to conclude to some kind of model whilst talking about mysticism, but it is a way of applying some ordering to what we can know. It seems to be a scale or ladder according to which mysticism and action are integrated. First there is the general call by the world's injustice: identification with the oppressed, the poor, the working class. For Dutch Christian anarchists - practicing modern Hervormd and for the most part even churchmen - these were the workers who seemed only to be able to forget their misery in alcohol. For people who seem to be estranged from their religion, like Day and Merton, this also is the phase in which they join radical atheist movements which promise "pies in the sky when you die" - socialism in some distant future. The second stage is the inspiration by writers who represent both Gospel and struggle for a better world, or transcending this world - which may be the same. For Dorothy Day this writer seems to be Fëdor Dostoyewsky, especially his "Brothers Karamazov". For Thomas Merton it is both George Herbert and William Blake, completed by Etienne Gilson. For Dutch Christian anarchists this is, like for most Christian anarchists, mainly Lew Tolstoy. For them, not being estranged from religion in the first place, this also is the call to action for changing the world - not with the rancour or illusions movements like the communist party were selling, but still with the idea of "giving the good example for people to follow": starting self managed industries, living in communistic communities. It ended in proverbial disaster. This phase I call "dawning mysticism": the idea of living according to Christ's teachings takes root, but it makes a false start. The third phase is that of "mystical union". Obviously, for Day and Merton it is joining the Catholic Church, for Dutch Christian anarchists it was rethinking their mystical roots. It is indeed followed by some resigned calm. For Dorothy Day and Dutch christian anarchists this period does not last long, for Thomas Merton it takes nearly twenty years. Then it is time for a crisis, accompanied by a second call from someone who could appropriately be called starets, having Zosima from the Brothers Karamazov in mind. For Dorothy Day this is Peter Maurin. For Thomas Merton it is Dorothy Day, and certainly pope John XXIII too. For Dutch Christian anarchists it is the World War, which later got its number, they have different startsy, the ones they have in common are - paradoxically - the younger people who join in with the movement against conscription, in 1915. Felix Ortt, one of the few who does not get jailed during the World War, turns to Lao Zi and tends to put Tao above Christianity in his long remaining years. After this second calling the fifth phase - the crisis point being the fourth - sets in: the real integration of mysticism and action. It is a working in the realization that things can only be done in the here and now - the Kingdom of Heaven is amongst you or within you, but it is NOW, not in some illusory future. NOW it is time for poor to be given soup, coffee and bread. NOW is the time for peace, which can only be lived in prayer: there is no way to peace, peace is the way - this is the action all have in common in this phase. All the way to heaven is heaven, as Dorothy Day quoted Teresa de Avila. Of course, there is the possibility of making other people see what they have not seen yet, but this is being done without the idea of a future break in worldly history. Revolution is a process to be lived by living people, it is not to be made by a new form of worldly government, and the time is now. The process takes long, still, but there is the Certainty - mysticism as the right spirit. As a postscript I can add that Dorothee Sölle in "Mystik und Widerstand" identifies mysticism with anarchy - not having any authority on earth, either government or church officials. Here indeed is where she seems to prove that christian anarchism is what she calls the democratization of mysticism - not a paradox but a paradigm, and though I rather hate to admit it because I still take offense of her style of writing, and though I offer a different "scale" from hers - in the final analysis we seem to agree. The bus company was let loose "to the market", some ten years ago. In the First Great Depression Era stealthily all public transport was nationalised in NL by a regime dedicated to Free Markets and a Strong God-fearing Government. And New Labour ended it all, because sixty years of government exploitation had led to - good functioning, which was simply unbearable. The bus company had changed its name from the North Holland Autobus Company into - merged with several other regional bus companies - Connexxion. Some people pronounce it as an English word, which really makes you feel at home. Just like Arriva and Veolia, appearing in all kinds of places since Competition had been introduced. Makes you feel like you are in Wales. Or England. Or France. Or Italy. Or Spain. Or Portugal. Etcetera. Oh glorious Market! Soon Connexxxxxxion advertised travels to New York, a place I know very well how to visit and do not need a regional bus company for. At the same time all bus connections to the village where my working shed was located were stopped, to be run by volunteers whenever they felt like it (this was advertised as Strengthening The Community, another dear New Labour toy - it simply meant the end of public transport full stop). Then there was the mail service. Actually it was older than the monarchy in NL so when it was privatised They decided to call it Royal Mail, but since this privatised thing had swallowed the Australian company TNT it was renamed to TNT, still showing a stylised crown but for the rest of it a formidable real estate dealer (all these post offices that it could close down now), under management of the former New Labour prime minister, incidentally (he also runs the former state telephone company, the former bank of the Post, an arms factory and Shell - you are not thinking of the word corruption, are you?). TNT apparently should be pronounced as an English acronym, once again to make you feel at home, and since Barack Obama is very much New Labour himself all TNT-cars now have the phrase "Sure we can" at their sides. In English, yeah. In the first week of August our distinguished friend Alex posted my author's copy of Religious anarchism. I am now celebrating the eighth week of its non-arrival. I could have walked vice versa several times to England all this time, even try my luck at walking on water. Somewhere during the weeks past I lost faith in its ever reaching me. I am told this is a NL specialty, although the British Royal Mail seems to have built a name for itself in losing packages and letters to - whatever wherever. Academics in NL say ordered books hardly ever reach them anymore, due to total liberalisation of delivery services. But where do they end up then? In a second hand store? Whatever. Don't ya know the mail service is no longer supposed to be about delivering mail but about making profits? Do you, pinko, not realise that the bus company is about making profit, now calls itself a Global Player with better things to do than running a line to your pitiful village? It is not the only cause for the Second Great Depression, but it certainly is more realistic to call it a cause than bonuses former New Labour prime ministers and other grabbing "managers" hand themselves. It is this willful and conscious wrecking of services which had to provide the infrastructure for the smooth operation of everyday capitalism now running aground because the services had to play Market and Make Profits. On this optimistic note - it cannot last very much longer this way, I think - I enter the ninth week of the non-arrival of the first reader on religious anarchism on the planet, of which I was a proud contributor (the fun part of it has been slightly spoiled, I admit). [For those seeing this on Facebook: this is André micside...]. In the operating theatre a nurse asks me whether I am nervous and whether I have trust in the success of the coming operation. Yes I am nervous, no I have not much faith in the possible result of the operation. Have gone through too many therapies already in the past three years. "Then why are you doing this?" You can hardly call this an appropriate time to ask such a question, so I make an impatient gesture with my left hand which shakes off one of the tubes already attached to me. Get on with it. In case anything goes wrong I even have meditated upon Matth. 22:23 sqq. - it will be under full anaesthetic. when consciousness returns it remains dark. My eyes are covered with a thick layer of bandage which just allows me to conclude the sun is shining. You do not really sleep when you are forced to lie in darkness. I wonder if the sense of being stared at can be active when you temporarily lose this one very important sense. I think it cannot. Then again, who would have liked to watch at the moments I have to take out for myself and which are very frequent thanks to the infusion still attached to my right arm (I feel). But when my beloved enters the room I know it before she speaks - hearing? sensing it some other way? The hospital relies on her to spoon-feed me with the first real meal of the day. Have to ask again how it feels to visit someone who has his eyes locked away. "Pitiful" is the answer I just got. The light hits hard when the bandage is removed. It looks like I will not be able to read The peaceable kingdom, about the Inner Light of the Society of Friends. I can read text messages though - one of them asks for a protest signature for a "prisoner of conscience" in Iran. How thoughtful of Amnesty International to support the Civilised World in its campaign against that foe of Israel's since the days of Esther or earlier. A campaign which may end in a nuclear attack. During the day I manage to read about the Inner Light. The Quakers are presumably the only fraternity/sorority surviving of the English Revolution - the episode when Christian anarchism emerged. Dusk presents me with two suns setting into the North Sea (some thirty miles away from the hospital). I gather the one on the right was the real source of light (judging by the time of year). When I decide to go to sleep I notice that closing my eyes does not make the world go dark. It is lighter with eyes closed than with eyes open. In this strange light I see the letters of the book I was reading getting ordered into the shape of a cross - like the one in the centre of the Swiss flag (after which the Red Cross was designed). A very strange experience to see this inner light, called forth by the pressure on my eyes which still seems to work even though the bandage has been removed. No, I am not insisting on any Interesting Experience. It has a very material explanation - frightening as it is, though. Fortunately it lasts for only one night. The bright white cupola and the printed letters have disappeared. Together with the second sun. Finally back at the keyboard looking for the AI-prisoner I come across a photograph of the person who is supposed to co-ordinate themes like this at Amnesty International. I spent three years of my life with her and this is the first time I look into her face since she wrote me off with a call (you might say I was taking it hard....). Another confusing and frightening experience. Challenging me to think about what love really means. Anyway, I signed the petition. I am thankful for those who prayed for me this past year or longer. I am equally thankful for those who did not or forgot about it. This, I think, is one thing I learned about love. It looks like the operation has succeeded and it just might not need any sequel. Which means my regular work on Christian anarchism might be resumed shortly. You should be able to notice it. I'll be there in the morning if anyone else happens to be and wants to meet up. The two raised a banner which read “FORGIVE THEM FATHER; THEY KNOW NOT WHAT THEY DO”. They remained there kneeling in prayer for 45 minutes while several Arms Dealers took photos and one spoke with Fr. Martin. The two were surrounded by a dozen police officers and arrested for criminal damage, they were taken to a local police station. Katrina Alton said, “Today the DSEi Arms Fair is proudly trading in arms and weapons that cause death and suffering to millions of the poorest and most vulnerable in our world. As a Christian I believe these children, women, and men are my brothers and sisters. Their voices are silent and their stories are not writ large on advertising stands or at multi billion pound ‘Fairs’: they remain hidden, “out of sight out of mind”. My love and compassion for these victims, faith, means that in faith and solidarity I cannot remain silent or hidden. So our action today is a visible sign that in the heart of our community this week the powerful and the greedy are trading in the blood of the poor: and that blood is on my hands too. By pouring ‘blood’ over the DSEi sign I am hoping to bring out into the light what is happening here today, and challenge these powerful and rich people to think what a difference could be made right now if all this money and resources was used to feed the hungry, shelter the homeless, and care for the sick just as Jesus asks us to do. time we resist the forces of injustice and violence that create so much suffering, poverty and insecurity. Katrina Alton and Martin Newell are members of the London Catholic Worker (LCW). They live and work in the LCW house of hospitality for refugees in Hackney. They also work in the LCW drop-in and community café. Katrina Alton is 42 years old. Martin Newell is also 42. NOTES: 1 – DSEi – Defence Services Export International – is the second largest arms fair in the world. It is organised by Clarion Exhibitions as contractors on behalf of the Trade and Industry Department of the UK Government (UKTI) . There were more demonstrations at the UKTI offices in central London on Tuesday. Arms firms and buyers for governments from all around the world come to DSEi to do business. The international power elites will go to Pittsburgh to preach the mantra that globalization is inevitable and eternal. They will discuss a corpse as if it was living. They will urge us to remain in suspended animation and place our trust in the inept bankers and politicians who orchestrated the crisis. This is the usual tactic of bankrupt elites clinging to power. They denigrate and push to the margins the realists—none of whom will be inside their security perimeters—who give words to our disintegration and demand a new, unfamiliar course. The powerful discredit dissent and protest. But human history, as Erich Fromm wrote, always begins anew with disobedience. This disobedience is the first step toward freedom. It makes possible the recovery of reason. The longer we speak in the language of global capitalism, the longer we utter platitudes about the free market—even as we funnel hundreds of billions of taxpayer dollars into the accounts of large corporations—the longer we live in a state of collective self-delusion. Our power elite, who profess to hate government and government involvement in the free market, who claim they are the defenders of competition and individualism, have been stealing hundreds of billions of dollars of our money to nationalize mismanaged corporations and save them from bankruptcy. We hear angry and confused citizens, their minds warped by hate talk radio and television, condemn socialized medicine although we have become, at least for corporations, the most socialized nation on Earth. The schizophrenia between what we profess and what we actually embrace has rendered us incapable of confronting reality. The longer we speak in the old language of markets, capitalism, free trade and globalization the longer the entities that created this collapse will cannibalize the nation. What are we now? What do we believe? What economic model explains the irrationality of looting the U.S. Treasury to permit speculators at Goldman Sachs to make obscene profits? How can Barack Obama’s chief economic adviser, Lawrence Summers, tout a “jobless recovery”? How much longer can we believe the fantasy that global markets will replace nation states and that economics will permit us to create a utopian world where we will all share the same happy goals? When will we denounce the lie that globalization fosters democracy, enlightenment, worldwide prosperity and stability? When we will we realize that unfettered global trade and corporate profit are the bitter enemies of freedom and the common good? Corporations are pushing through legislation in the United States that will force us to buy defective, for-profit health insurance, a plan that will expand corporate monopolies and profits at our expense and leave tens of millions without adequate care. Corporations are blocking all attempts to move to renewable and sustainable energy to protect the staggering profits of the oil, natural gas and coal industries. Corporations are plunging us deeper and deeper as a nation into debt to feed the permanent war economy and swell the military budget, which consumes half of all discretionary spending. Corporations use lobbyists and campaign contributions to maintain arcane tax codes that offer them tax havens and tax evasions. Corporations are draining the treasury while the working class sheds jobs, sees homes foreclosed and struggles to survive in a new and terrifying global serfdom. This has been the awful price of complacency. Protests will begin several days before the summit. Many of the activities are being coordinated by Pittsburgh’s Thomas Merton Center. 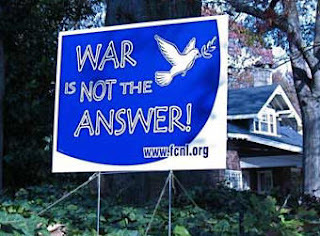 There will be a march Sept. 25 for anyone who, as Jessica Benner of the center’s Antiwar Committee stated, “has lost a job, a home, a loved one to war, lost value to a retirement plan, gotten sick from environmental pollution, or lived without adequate healthcare, water, or food. … ” There will be at least three tent cities, in addition to a Music Camp beginning Sept. 18 that will be situated at the South Side Riverfront Park near 18th Street. Unemployed workers will set up one tent city at the Monumental Baptist Church on Sept. 20 and five days later will march on the Convention Center. The encampment and the march are being organized by Bail Out the People Movement (BOTM). The Institute for Policy Studies, The Nation magazine, the United Electrical, Radio and Machine Workers of America (UE), Pittsburgh United and other organizations will host events including a panel on corporate globalization featuring former World Bank President Joseph Stiglitz, along with a “People’s Tribunal.” There will be a religious procession calling for social justice and a concert organized by Students for a Democratic Society. But expect difficulties. The Secret Service has so far denied protesters permits while it determines the size of the “security perimeter” it will impose around the world leaders. Pittsburgh has contracted to bring in an extra 4,000 police officers at an estimated cost of $ 9.5 million. Activist groups have reported incidents of surveillance and harassment. The struggle to thwart the voices of citizens will be as fierce as the struggle to amplify the voices of the criminal class that is trashing the world’s economy. These elites will appear from behind closed doors with their communiqués and resolutions to address us in their specialized jargon of power and expertise. They will attempt to convince us they have not lost control. They will make recommitments to free-trade agreements from the General Agreement on Tariffs and Trade, or GATT, the World Trade Organization and NAFTA, which have all thrust a knife into the backs of the working class. They will insist that the world can be managed and understood exclusively through their distorted lens of economics. But their day is over. They are the apostles of a dead system. They maintain power through fraud and force. Do not expect them to go without a struggle. But they have nothing left to say to us. If you can, go to Pittsburgh. This is an opportunity to defy the titans of the corporate state and speak in words that describe our reality. The power elite fear these words. If these words seep into the population, if they become part of our common vernacular, the elite and the systems they defend will be unmasked. Our collective self-delusion will be shattered. These words of defiance expose the lies and crimes the elite use to barrel us toward neofeudalism. And these words, when they become real, propel men and women to resist. 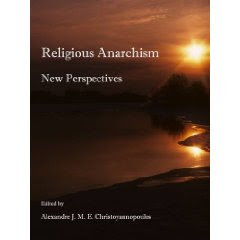 Religious Anarchism: New Perspectives is out. If you can't afford the £45 for a copy. And fair enough, like. There's a .pdf of a sample of the book online which in itself is well worth a read.